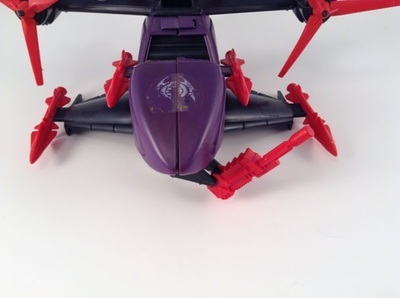 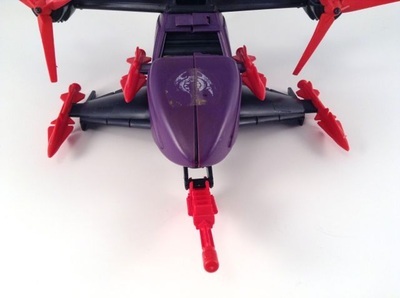 The Cobra FANG II is a VTOL vehicle. 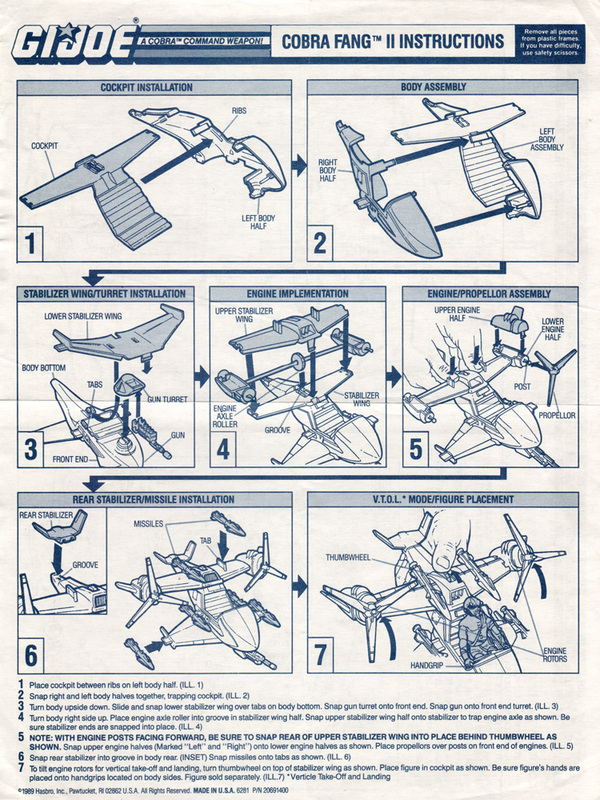 With a spin of the wheel its dual engines tilt upward for vertical take off or landing. FANG courtesy of the Yo Joe Outlet. Please visit them on eBay. 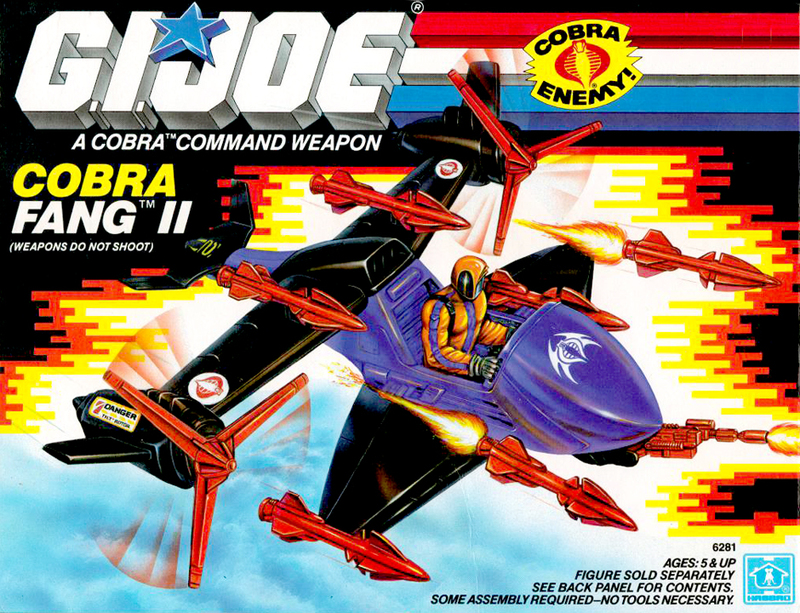 NOTE: Although the box art showed H.E.A.T. Viper manning the FANG II, and he's pictured above, he did NOT come with the FANG II. 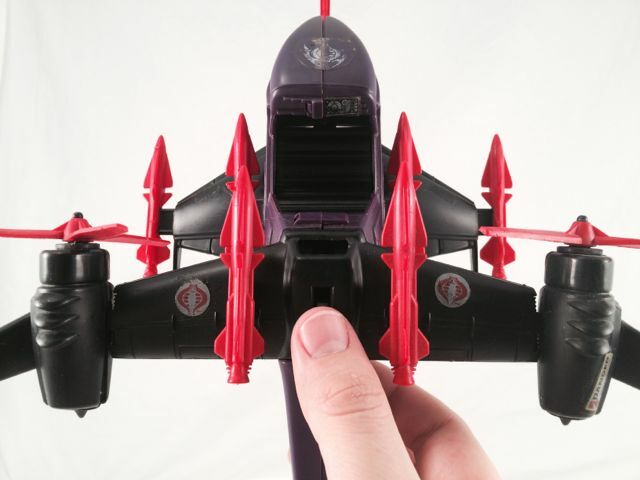 Cobra FANG II box photos courtesy of Kevin Melton and Chris Cardillo. 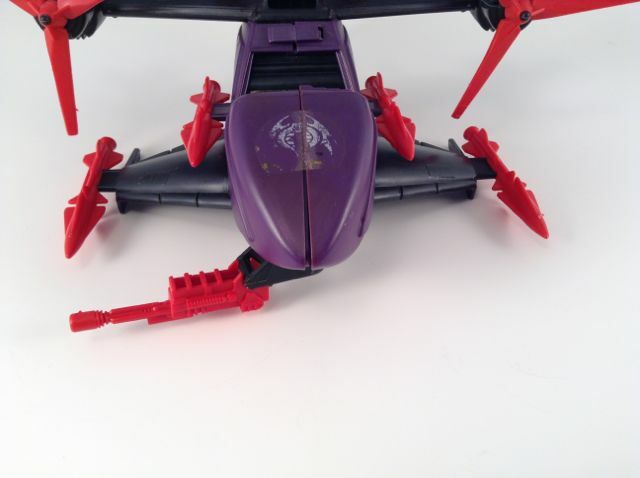 The Cobra FANG II features several moving parts and the sculpt is nicely detailed. 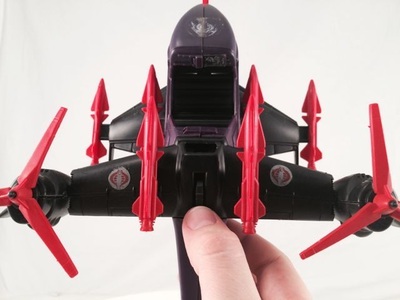 The front chin gun rotates left and right and also tilts up and down. 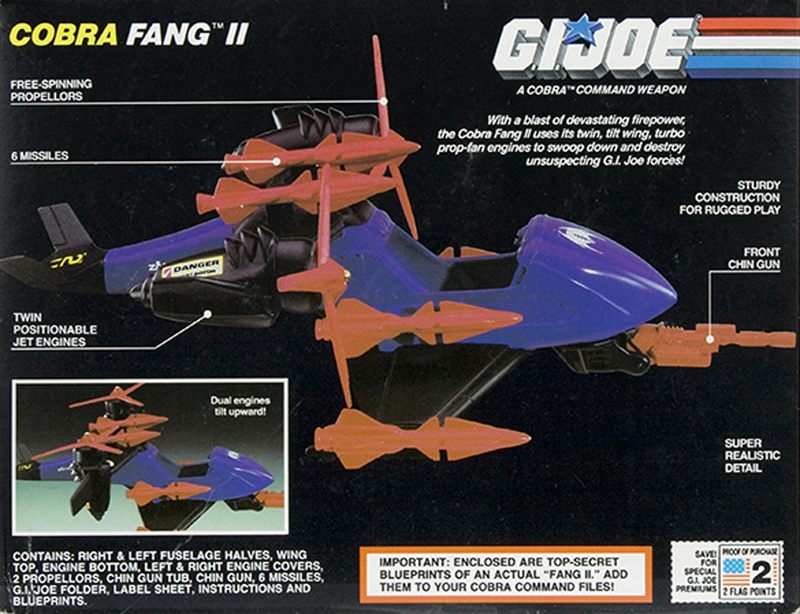 The Cobra FANG II is a VTOL vehicle. Spin the wheel to tilt the dual engines upward for take off or landing. 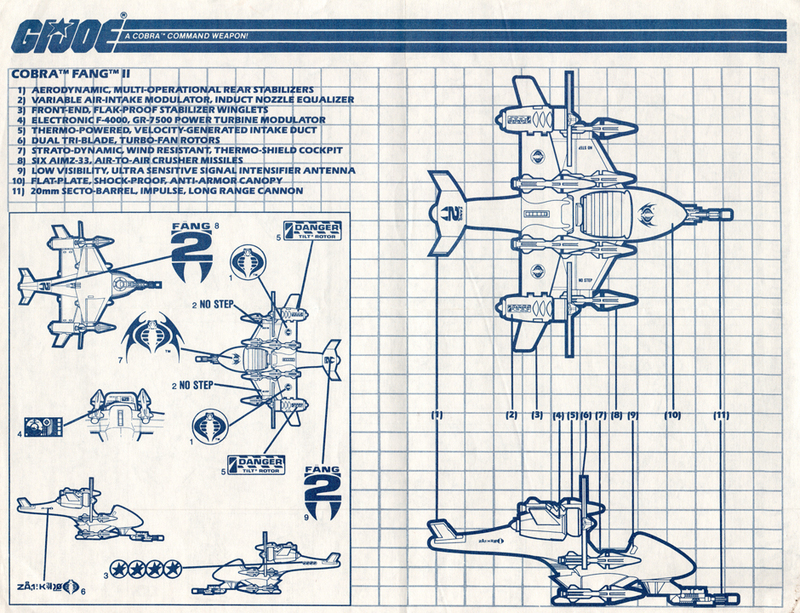 Cobra FANG II blueprint/instructions courtesy of Tim Dz.